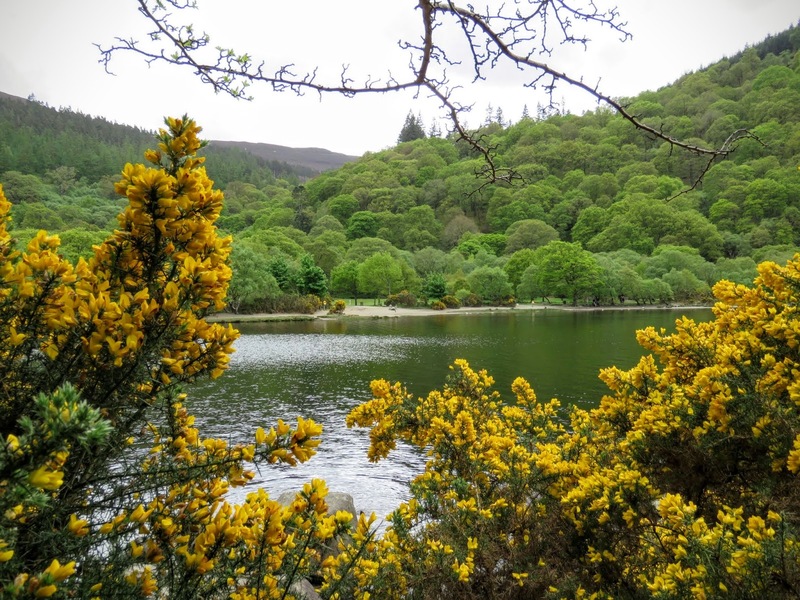 It's easy to take the things in your own backyard for granted but resisting that temptation is key particularly when your backyard in Dublin is the spectacular Wicklow Mountains. 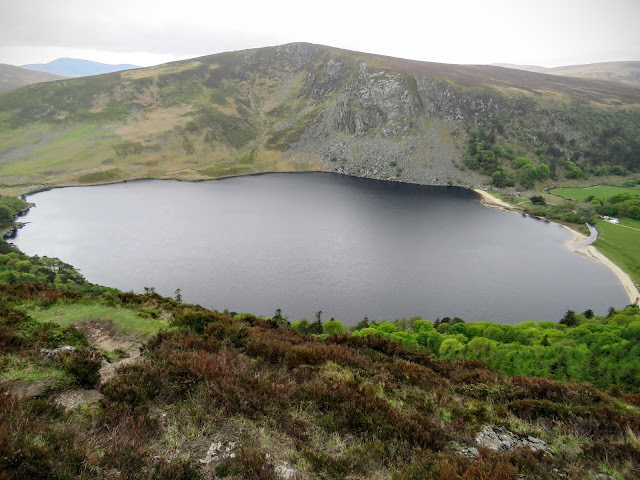 We love playing tourist both at home and abroad so of course we've been to County Wicklow a number of times in the six years that we've lived in Ireland. Still, this beautiful landscape is so changeable and full of life that I always discover something new each time I go. 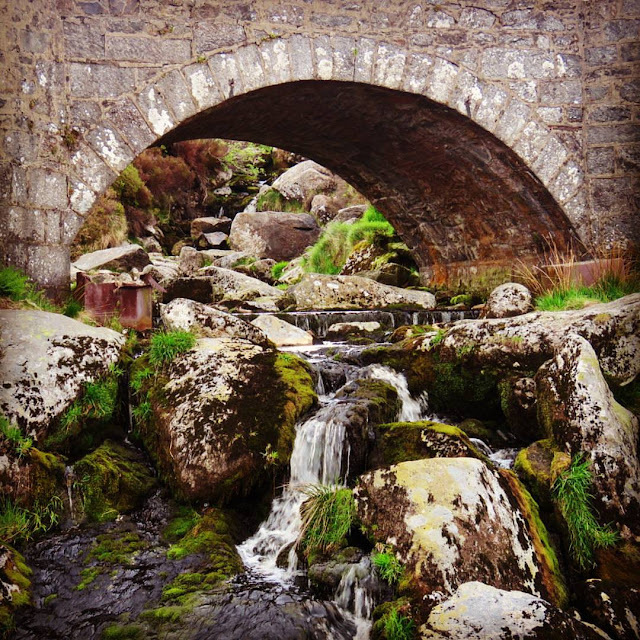 I found this to be particularly true on my latest adventure; a full day guided Wicklow Mountains Tour with Richie. In this post, I'll walk you through the magic of Wicklow seen through fresh eyes on a repeat visit to the area. Our first stop was Glencree Visitors Centre, an idyllic and remote setting. Formerly a barracks and orphanage, it is now used to promote peace and reconciliation among parties in violent conflict. 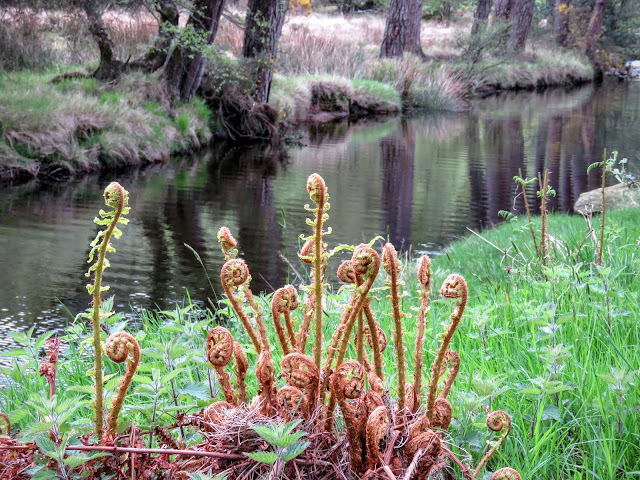 I can see the calming influence that the natural landscape might have on those staying here. 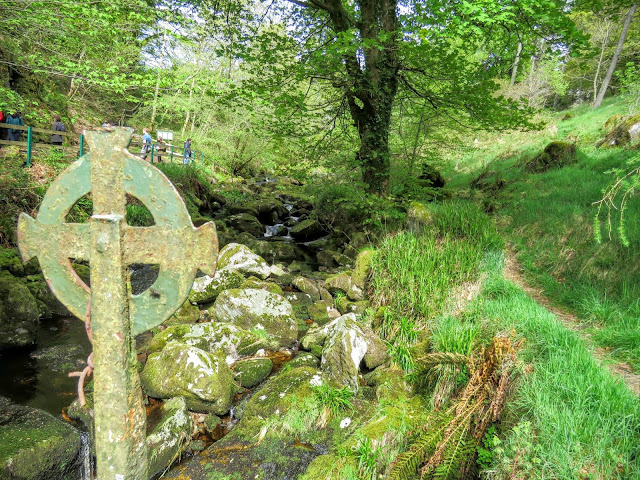 I descended a set of mossy steps to the Grotto at Glencree. A babbling brook wound its way through a lush green tangle of forest. The place was so serene. We don't have a car so a bus tour like this is the only way we get to see hidden gems like this (aside from the more expensive option of hiring a car). 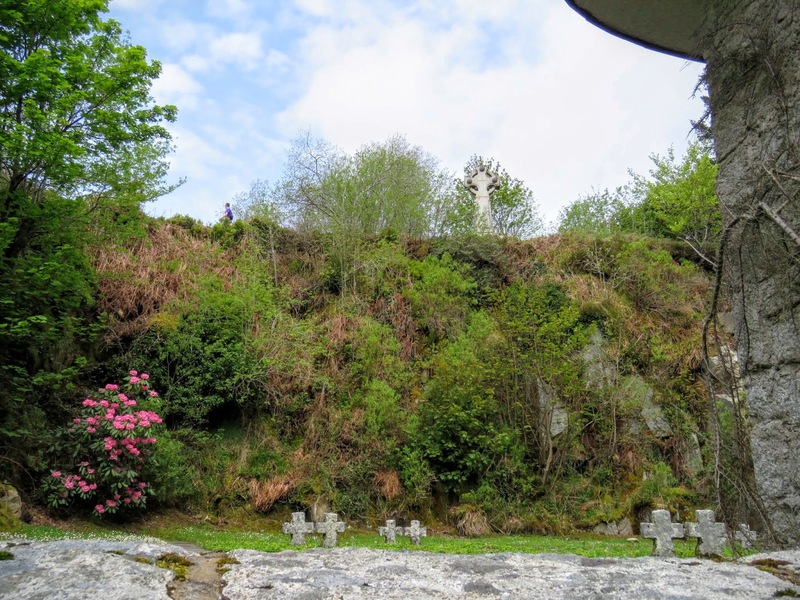 We were surprised when our driver, Richie, pointed out the German War Cemetery at Glencree. 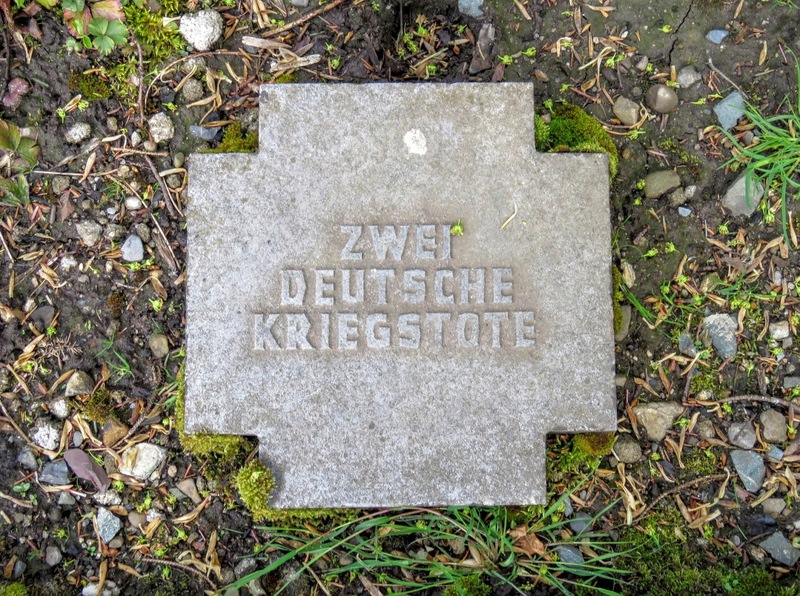 The site is run by the German War Graves Commission and is the final resting place for about 100 kriegstote (war dead) killed off the coast of Ireland or taken as prisoners of war by the British mainly during World War I. The cemetery was another quiet and scenic spot to collect my thoughts before meeting up with he bus back at the Glencree Visitors Centre. Our Wicklow Mountains Tour also included a stop at the stone bridge made famous as the spot where Gerry and Holly first met in the movie PS I Love You. It was indeed a lovely and romantic spot with a burbling stream running just below. I hadn't seen the movie prior to the tour but was curious afterward and watched Gerard Butler and Hilary Swank's tragic love story play out. Public Service Announcement: this movie is a serious tear jerker. We also discovered on our tour that Wicklow is full of beautiful lakes like Guinness Lake above and the Upper and Lower Lakes at Glendalough; not to mention many others. Richie expertly managed to park the bus along the narrow winding roads so we could avail of some great photo opportunities. I've been to Glendalough on two other occasions and had the feeling that I'd seen it all. Richie sensed this and took me aside and asked if I'd be up for an off-the-tourist-track hike. Definitely! He pointed out St. Kevin's Way on the billboard map near the Glendalough Visitor's Centre and talked me through the key twists and turns required to get there. To start, the hike involved a fairly flat stroll alongside a shallow river. Richie warned me that the trail was rather steep in parts. That was no joke! A fellow hiker (there were very few people on the trail, by the way) walked back about 200 meters with me to point out the exact spot to enter the forest and begin the ascent. The trail is marked but easy to miss. The hike up the hill was totally worth it for the solitude and views. 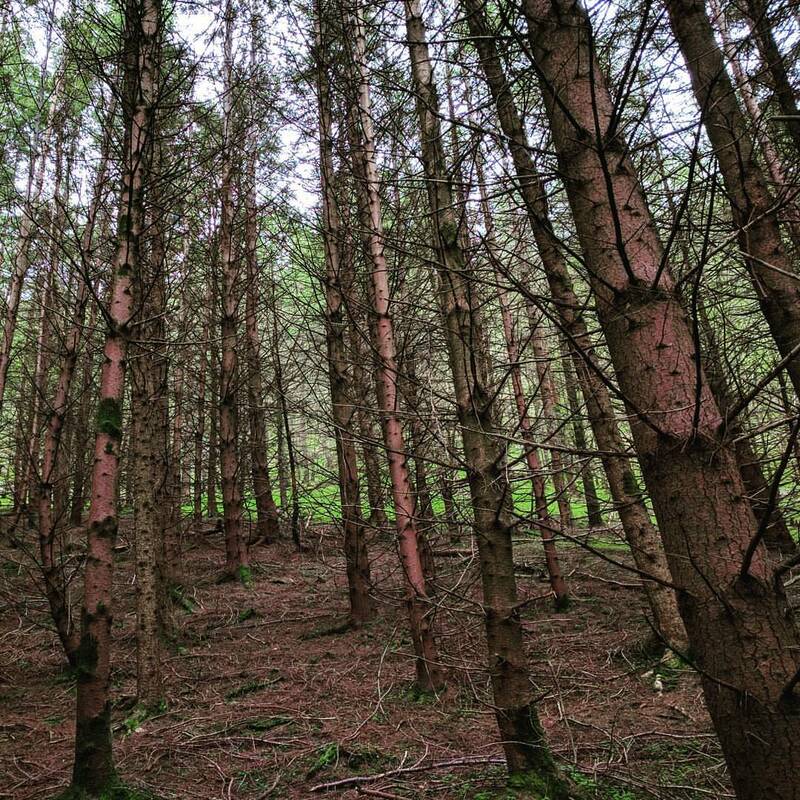 I really enjoyed the chance to escape from the bus for a couple hours and commune with nature. Speaking of communing with nature, another upside is wildlife spotting. As I was walking along St. Kevin's Way, I spotted exactly two other hikers. Both were staring off into the woods. I followed their line of sight in both cases. 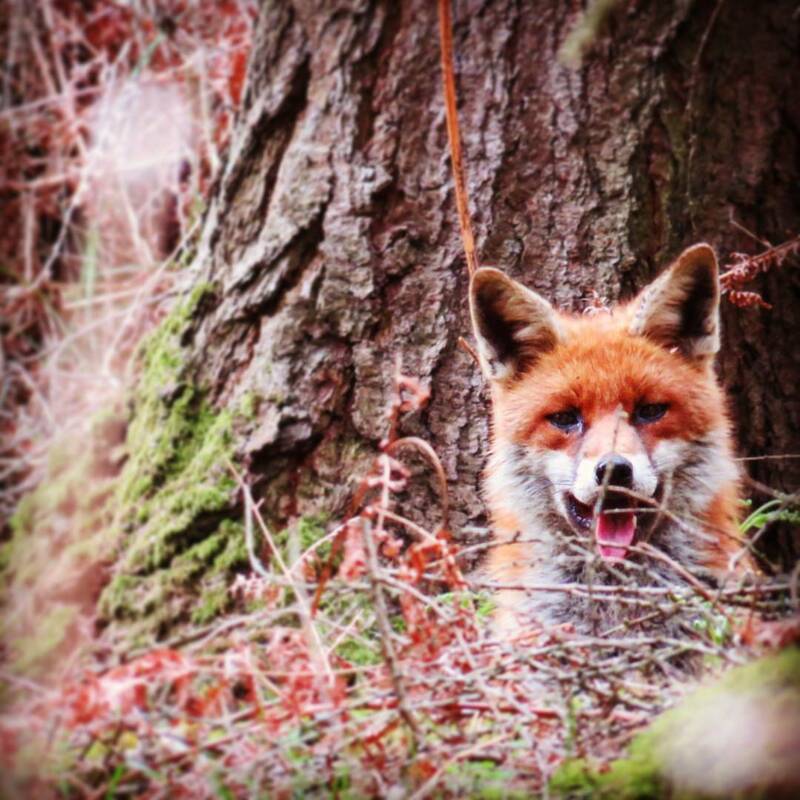 In one instance, I spotted this lovely fox staring back at me in the distance. 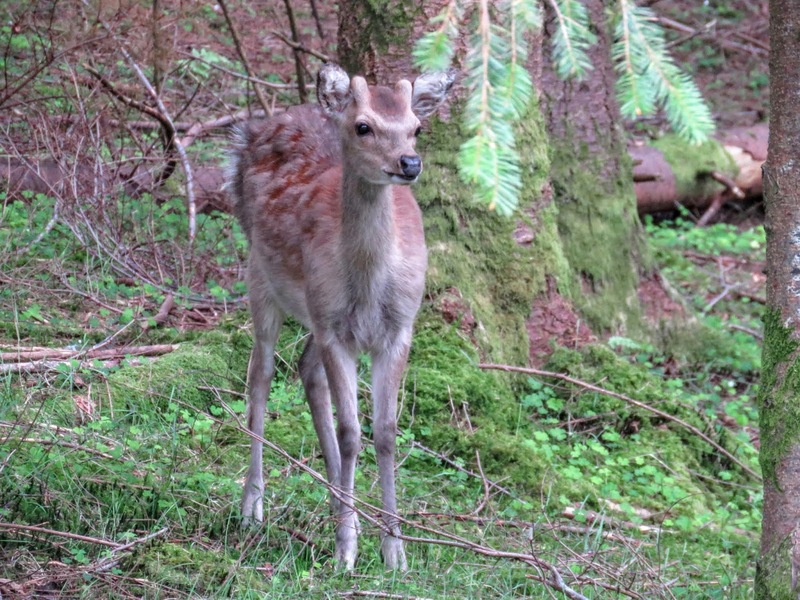 In the second case, I saw a curious deer checking us out. Amazing! Apparently mountain goats are less concerned about the presence of people. 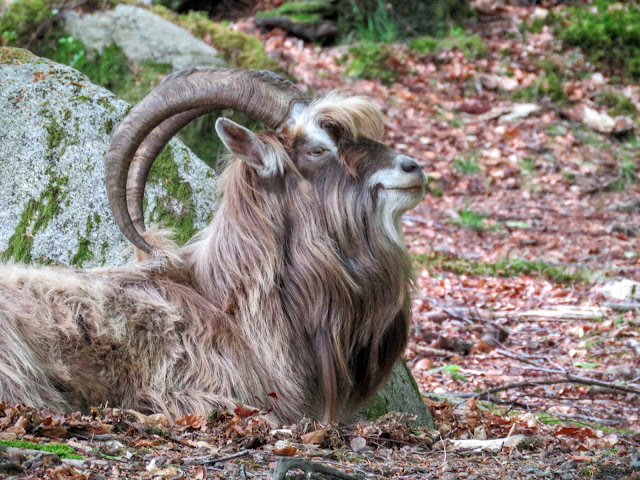 I spotted a herd of four goats lounging in the shade of a tree right along the main trail between the lower and upper lakes. Just chillin'. 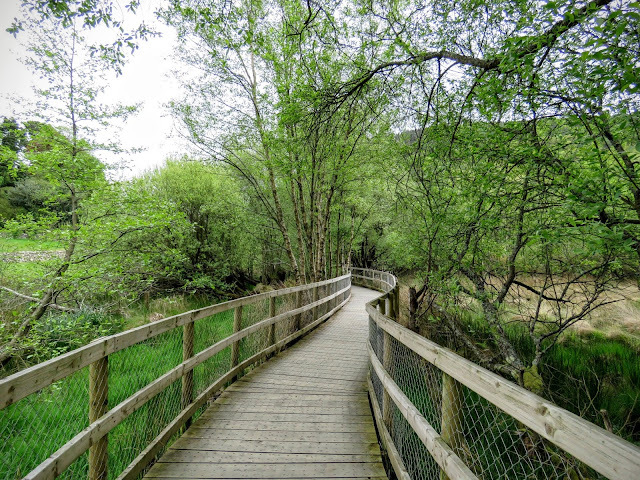 Emerging from St. Kevin's Way at Glendalough, I peeled off onto the boardwalk that runs along the Lower Lake. Hearing the boards thump under my feet was somehow very zen. 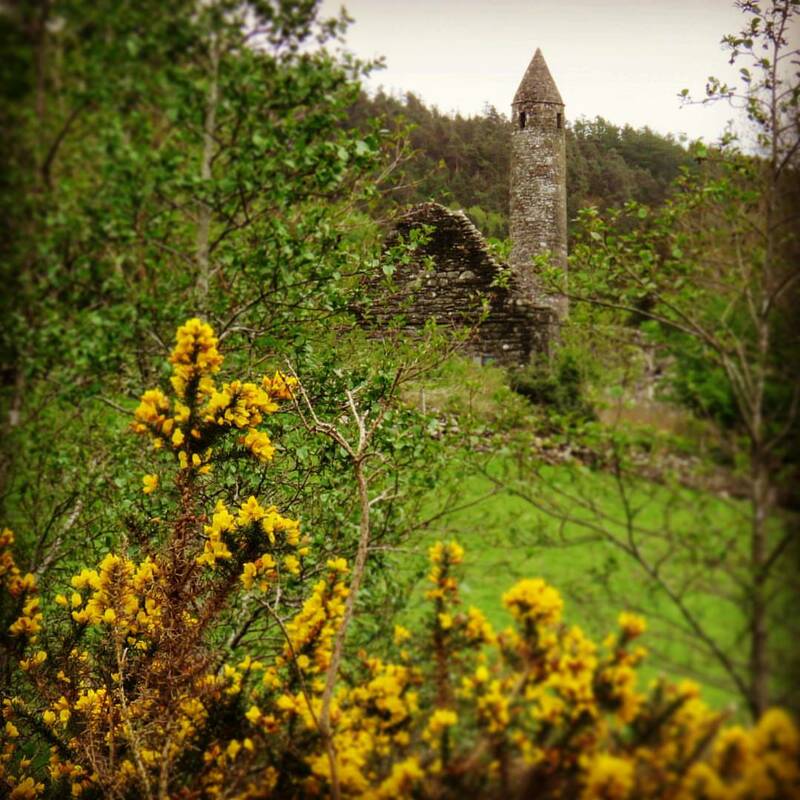 I also really appreciated the bright yellow gorse that was blooming both in the shadow of the monastic settlement and pretty much along every road in Wicklow at this time of year. The pop of color added a bit of cheer to the place despite the drab skies. At least it didn't rain! Our final stop was in Avoca Village for a spot of lunch (discounted but not included in the price of the tour). It had started to rain so most people spent the lunch hour huddled in the warmth of Fitzgerald's pub. 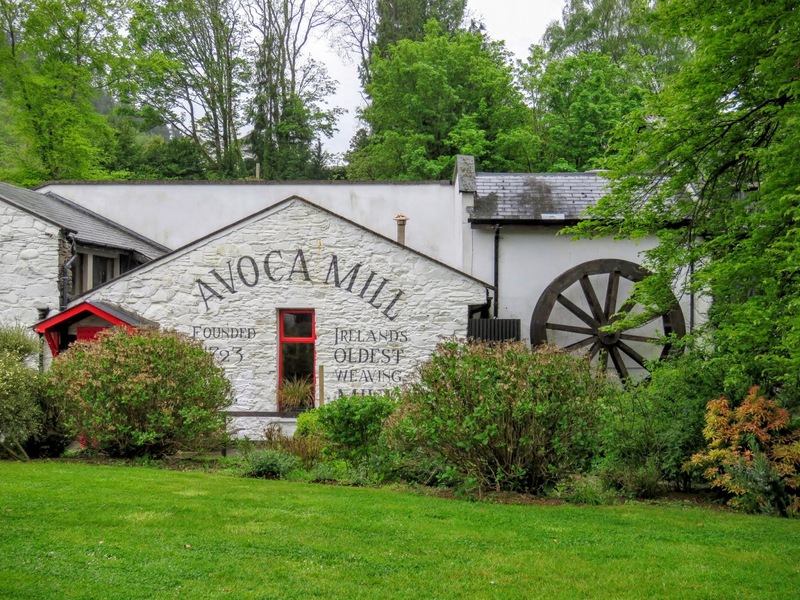 If the weather is nice (or if you are a hardy soul), Avoca Mill, the oldest working woolen mill in Ireland, is a short walk up the road. 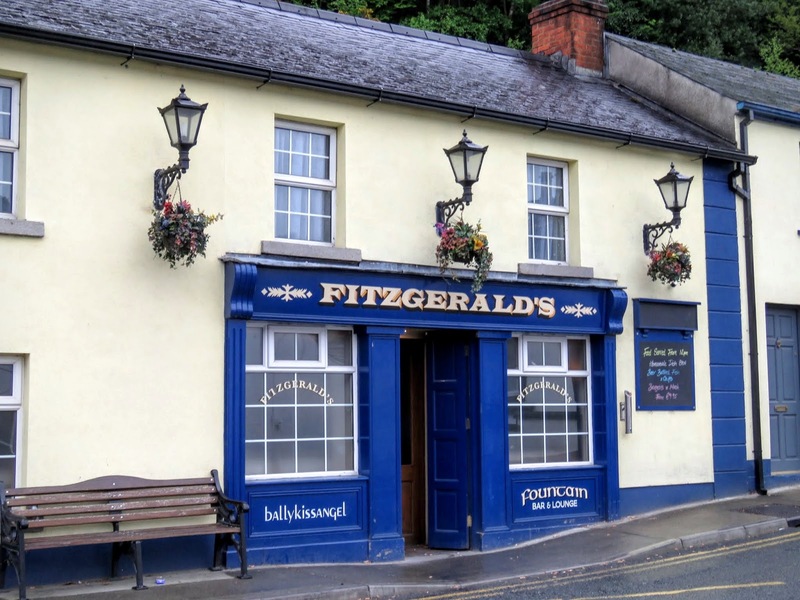 I've been to Wicklow a few times before and thought I had seen and done it all. 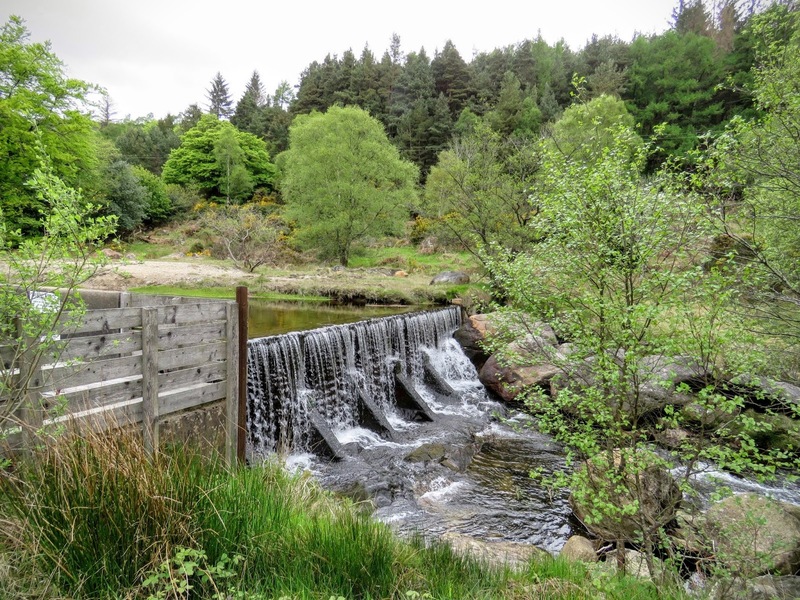 Gray Line's Wicklow Mountains Tour certainly proved me wrong in that regard. 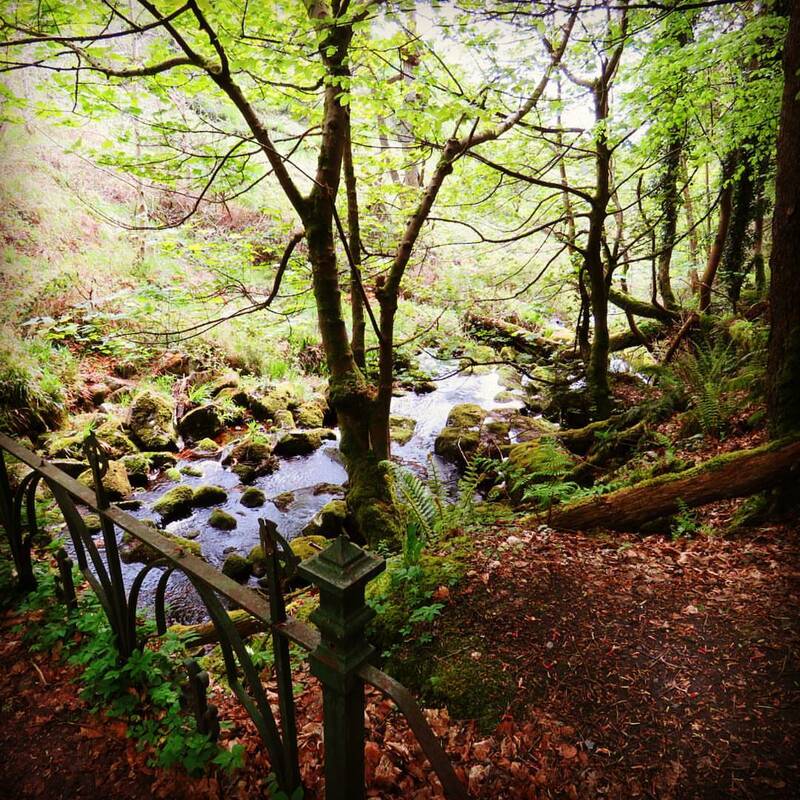 We had a fantastic time exploring County Wicklow with fresh eyes. Disclaimer: I was a guest of the Dublin Visitors' Centre on the Wicklow Mountains Tour. They provided two free tickets (for me and my mum) for the day trip. However, opinions expressed in this post are my own. Experience County Wicklow from Glencree to Glendalough. 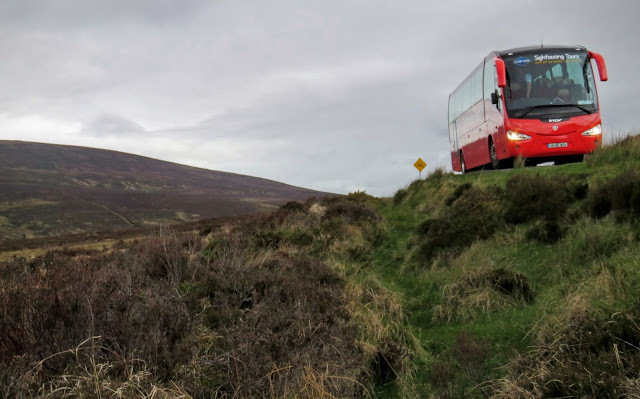 Review of Gray Line's Citysightseeing Wicklow Mountains Tour, a day trip from Dublin to the Wicklow Mountains. Written by travel blogger, Jennifer (aka Dr. J) from Sidewalk Safari.